Colleagues, the First Technical Workshop was a success with 90 participants and a full three-day program of high quality presentations. The organizing committee wishes to thank Chiang Mai University and all the presenters for making the event so great. We will be posting most of the presentations as PDFs after the Holidays. For now, the conference photo is below. The Participatory Epidemiology Network for Animal and Public Health (PENAPH) is a partnership of organizations and individuals that seek to facilitate the continued development and application of participatory methods in epidemiology. 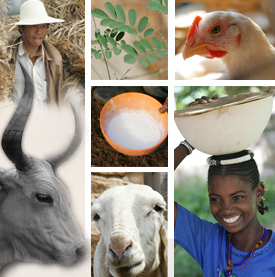 PENAPH partners include animal health and public health partners committed to one health and ecohealth approaches. The overall goal of PENAPH is to enhance epidemiological services in the developing world by making them more representative of and responsive to the needs of beneficiaries. PENAPH will be holding a technical workshop to bring together trainers, practitioners and others interested in Participatory Epidemiology (PE) and its applications in animal health, one health and ecohealth. The organization of the workshop is supported by a grant to ILRI from the Rockefeller Foundation through the Empowering National and Regional Stakeholders Grant. The Veterinary Public Health Centre for Asia Pacific (VPHCAP) at the Faculty of Veterinary Medicine, Chiang Mai University has graciously agreed to host the meeting in Chiang Mai, Thailand. The program activities include keynote speeches and presentations of papers, discussion forums, poster sessions and social events. Discussion forums, oral and poster presentations will be given in English. Electronic proceedings will be produced that contain the papers presented and results of discussion forums. More details and communications concerning the Technical Workshop will be posted on this website and broadcast by E-mail to PENAPH members. The deadline for submission of abstracts is 1st July 2012. All abstracts submitted will be reviewed by the Scientific Committee of the PENAPH Technical Workshop. All authors will be contacted by 15th August 2012 and informed if their submission has been selected as an oral or poster presentation at the PENAPH Technical Workshop. The presenting author must register for the workshop by 30th September 2012. PENAPH is seeking suggestions for topics to be discussed at the 2012 Technical Workshop. The discussions are intended to provide opportunities for workshop participants to better understand the theory and practical applications of PE, to gain new knowledge and insight about PE, and to interact with other PE practitioners from around the world. Submit suggested topics by sending a comment to the Technical Workshop Organizing Committee on this workshop page (https://penaph.net/first-technical-workshop/). Suggestions for discussion topics should include a clear question and a short background statement to provide context for the question. If possible it would be helpful to provide 1-2 key learning objectives for the discussion and suggestions for a facilitator who will be able to help frame the discussion. All facilitators and discussion participants must register for the workshop. Final selection of the discussion topics will be done by the Technical Workshop Scientific Committee. A limited number of stipends for participants from developing countries are funded through the Empowering National and Regional Stakeholders Project. Participants from developing countries who have a paper or poster accepted and do not have an on-going sponsoring project for their work will be given priority. Projects active in the area of PE are encouraged to support participants to the workshop as an opportunity to share their findings. Information on projected costs for self-funded participants will be made available in a second announcement. Under the Empowering National and Regional Stakeholder Project, a call for applications for mentored field studies was completed and those projects that have been funded are required to submit an abstract for presentation at the workshop. The mentored field study abstracts will be reviewed in the same process as all other submissions and those that are selected as oral presentations will receive support to attend the workshop. Please share the information with interested colleagues and watch the PENAPH site for more news and announcements!